Troops of the Eight-Nation Alliance in 1900. Left to right: Britain, United States, Australia,India, Germany, France, Russia, Italy, Japan. 16 year-old Princess Elizabeth being introduced to officers of her regiment in 1942. Survivor of the Hiroshima atomic bomb, Shigeki Tanaka won the Boston Marathon in 1951. Red Army soldier with a kitten during WWII. Tsarevich Nicholas (future Tsar Nicholas II) at Nagasaki during his eastern journey, 1891. 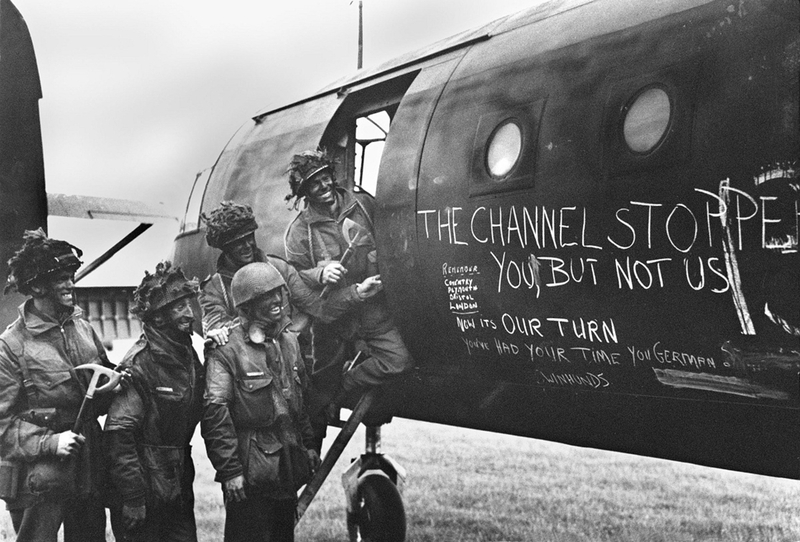 British Paratroopers admire graffiti on their glider shortly before D-Day, June 1944. British paratroopers retrieve folding motorcycles or ‘Welbikes’ from equipment containers, Bulford, South West England, 9 June 1943. Ernest Hemingway kicking a beer can, 1959. Photograph by John Bryson. U.S. Navy diver David Ahearn attaches an inert satchel charge to a training mine, during training exercises in waters off Naval Base Guantanamo Bay, Cuba. Tsarevich Alexei Nikolaevich and Tsar Nicholas II sawing wood at Tobolsk in 1917 during impisonment. 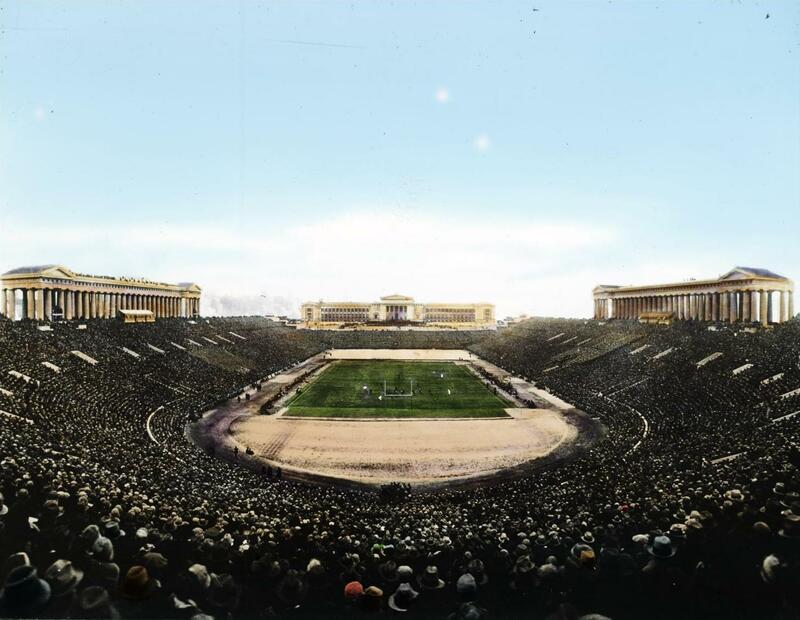 Army Navy game at Soldier Field, 1926. The Hollywood sign in the 1970s. Shell that didn’t blast. Spanish Civil War, Madrid, Spain 1939. John Lennon sighing David Chapman’s album 5 hours before Chapman shot and killed him, -December 8, 1980. German officer interrogates two captured French officers, Dunkirk, 1940. Adolf Hitler’s 4th grade class, 1899. The fuhrer-to-be can be seen top row, dead center. 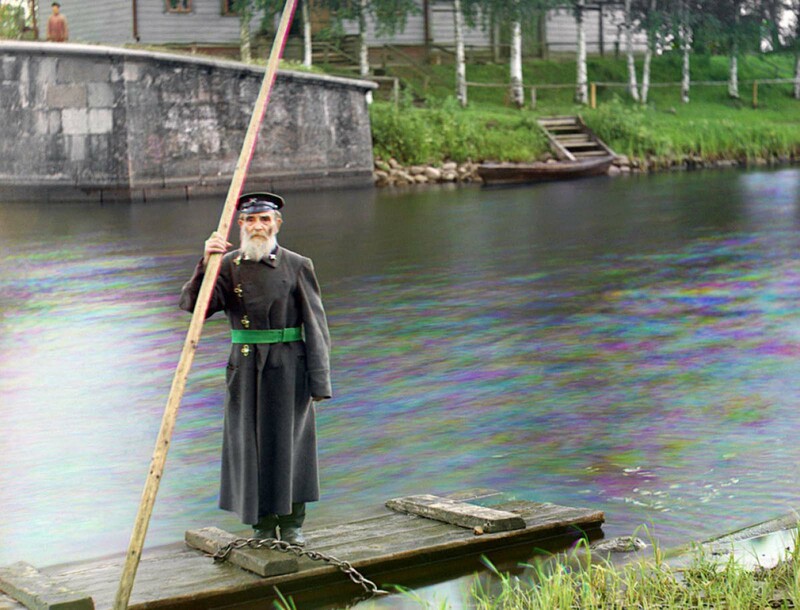 are color pictures from Russian Empire, 1905-1915. Rioters launching projectiles against mounted police on the Concorde Place. Paris, France, February 7th, 1934. The world’s first nuclear bomb, Trinity, milliseconds after detonation. July 16, 1945, New Mexico. 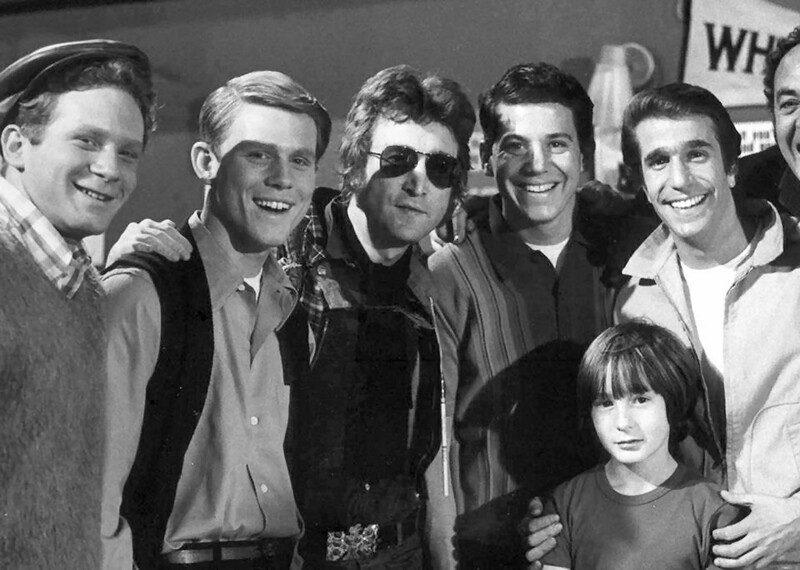 John Lennon and his son Julian stop by the set of a new sitcom called ‘Happy Days’ (1974). An Overturned German Panther tank lies in a shallow stream next to a rebuilt bridge in war-torn Houffalize, Belgium 1945. 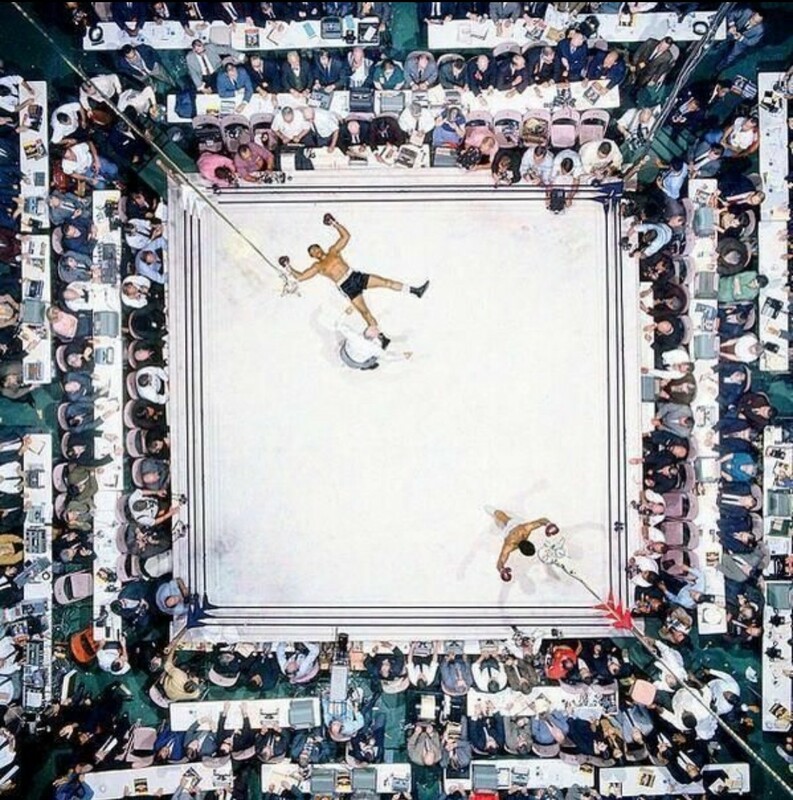 An aerial shot of Muhammad Ali after knocking out Cleveland Williams, 1966. 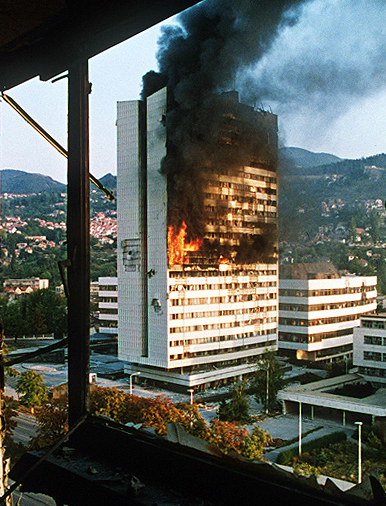 Executive Council Building after being hit by tank fire, Sarajevo, Bosnia and Herzegovina, 1992. California Street, San Francisco, 1964. Sign up below to get the latest from Odd Buff, plus exclusive special editorials, direct to your inbox!